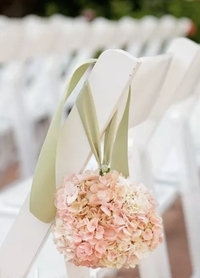 You just can't beat the convenience and look of silk flowers and you'll find this Red Hydrangea Flower Ball to be one of your favorite decorating elements when you need to create a refreshing floral display! 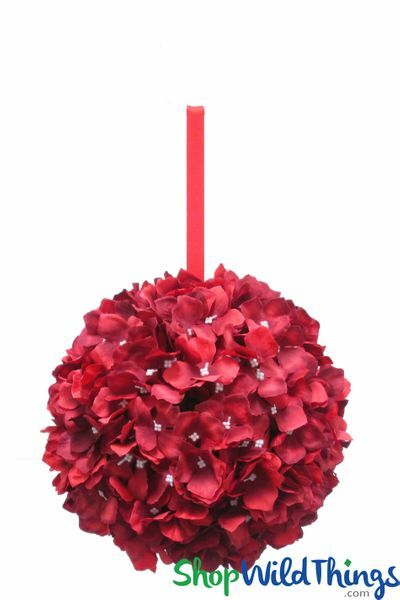 This classy Silk Pomander Kissing Ball is a FULL 10" in diameter and comes with an 8" long, matching red ribbon. 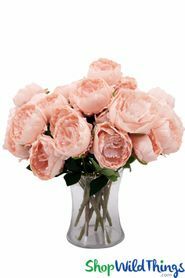 This ball is slightly 2-toned, with the center of each flower being a bit darker than the tips of the petals. This contrast provides depth and adds visual interest. The ball comes in 2 halves that snap together and this unique design gives you more options and choices!